4 days 55 min ago. From 59 to 60: The Music Of Justin E. A. Busch. - Tuesday night at Studio Z 2 days 2 hours ago. Zeitgeist shared a post. Please note: 1 week 6 days ago. Zeitgeist’s Early Music Festival devoted to the work of Pauline Oliveros is now finished. What an amazing time that was! How much we all learned-about music, listening, ourselves, and others! Deep gratitude to all listeners and artists who convened to make music such beautiful music together. Special thanks to Viv Corringham for creating "Listening for Pauline and IONE" for Zeitgeist and for guiding everyone in a deep listening workshop. And to Carole Ione for providing permissions and working with us to present Oliveros' work. Shout out to Isaac Mayhew who created our exhibit and Katherine Bergman who made sure all of us knew what was being performed and when. And, the performers. It is a delight with every festival to bring together so many talented musicians who approach new music with such love and care. Thank you Pat O'Keefe, Nicola Melville, Patti Cudd, Alexandra Hecker, Tiffany M. Skidmore, Joan Hutton, Michael Duffy, Adam Zahller, Walt Skidmore, Svea Drentlaw, Gabrielle Doran, Justin Spenner, Joey Crane, Benjamin J M Klein, Philip Blackburn, Ann Millikan, Dameun Strange, Ryan David Stevens, Laura Harada, Michelle Kinney, Drea Reynolds, Isaac Mayhew, Paul Cantrell, Brian Heller, and Jill Dawe. And, of course, much gratitude to MSAB and National Endowment for the Arts and Zeitgeist's many individual donors for supporting this festival. 1 week 6 days ago. Last chance to catch Zeitgeist Early Music Festival: Pauline Oliveros! We will close the festival today with a concert of chamber works by Pauline Oliveros, including "For Valerie Solanas and Marilyn Monroe in Recognition of Their Desperation," "Rolling Meditation," "Lullaby for Daisy Pauline" and "Six for New Time." 2 weeks 3 days ago. Zeitgeist Early Music Festival: Pauline Oliveros continues today with three events at Studio Z focusing on the work of Pauline Oliveros: 3:30 p.m. Early Music Workshop: Deep Listening with Viv Corringham 5:30 p.m. Screening of Oliveros’s opera "Io and Her and the Trouble with Him" 7:30 p.m. The Earthworm Also Sings: A Deep Listening Event 2 weeks 4 days ago. 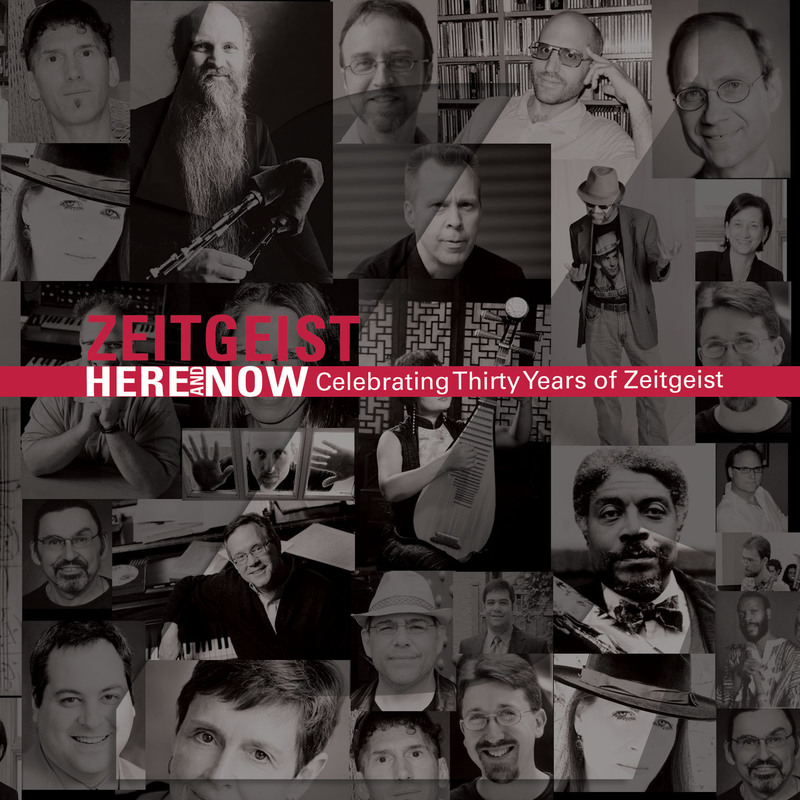 In 2008, Zeitgeist new music ensemble asked thirty Minnesota composers (one for each year of Zeitgeist’s existence) to write 150-second long pieces (one second for each year of Minnesota’s existence as a state) as a kind of double celebration event. The results—a long-exposure picture of Minnesota’s longlively compositional scene in the first decade of the new millennium, or simply perhaps thirty love letters to Zeitgeist—transcend the occasion. These are miniatures that refuse to be confined by the label. Ranging from neoclassic to unclassifiable, they make one thing plain: Zeitgeist has no house style. Intrepid midwives of the new, these omnicompetent musicians have embraced the untrammeled polystylism of our day. This ardent openness has much to do, perhaps everything to do, with the group’s longevity, keeping Zeitgeist in tune with the zeitgeist. The groups of works flow from modernistical, to improvisatory, ethnically-flavored, plugged-in, cheekily theatrical, and neo-classicalish. Listeners will find Libby Larsen, Steve Heitzeg and Randall Davidson cheek by jowl with Mary Ellen Childs, Janika Vandervelde and Douglas Ewart. Like any good midwestern smorgasbord, this one has something for every taste. Lauded for providing “a once-in-a-lifetime experience for adventurous concertgoers,” Zeitgeist is a new music chamber ensemble comprised of two percussion, piano and woodwinds. Always eager to explore new artistic frontiers, Zeitgeist collaborates with composers of all types to create imaginative new work that challenges the boundaries of traditional chamber music. The members of Zeitgeist are: Heather Barringer, percussion; Patti Cudd, percussion; Pat O’Keefe, woodwinds; Shannon Wettstein, piano.